Mr. Mackey has a fiduciary duty to WFM shareholders. His affiliation with Gafni and the center certainly put the reputation and value of WFM at risk. A group of more than 100 rabbis has launched an online petition, demanding that Whole Foods sever ties with Gafni. At the time of this writing, the petition has garnered more than 2800 online signatures. It includes comments from people claiming to have had unfavorable contact with the former rabbi. The flow of follow-up stories has been steady. 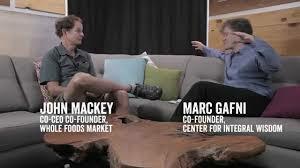 John Mackey’s involvement with Marc Gafni and the Center for Integral Wisdom is his personal business and does not represent an endorsement or support for either Mr. Gafni or the Center for Integral Wisdom by Whole Foods Market. However, the accuracy of Mackey’s and Whole Foods’ statements, characterizing the CEO’s relationship with Gafni as “personal” is in question. As a director on the board of Gafni’s Center for Integral Wisdom, a tax-exempt California nonprofit corporation, subject to state and IRS laws and regulations, Mr. Mackey has fiduciary duties to the organization. However, on January 5, 2016, the Forward reported Gafni saying, “I’ve left the spiritual teaching world and am functioning as the president of an activist think tank.” (Marc Gafni Defends Return to Spotlight as Backlash Gathers Steam) As of this writing, public records show that the Center for Integral Wisdom/Center for World Spirituality is still classified as a tax-exempt, California religious organization. Complaints were submitted Wednesday to the IRS and California state Attorney General’s office, questioning federal tax and state nonprofit regulatory compliance by the Center for Integral Wisdom. John Mackey was named in both complaints, as Board Chair of the organization. I spoke with public relations representatives from socially responsible fund managers Calvert, Domini, and Parnassus, all of which hold Whole Foods Market stock in their active equity portfolios. As of this writing, none of the firms have commented. Whole Foods positions itself as a socially responsible company, which is an important part of its brand. If these core values come into question by employees, consumers, partners, or investors, it can have long-term damaging effects on the company’s stock value. Reputational risk is real, and the way Mr. Mackey chooses to handle this conflict will certainly be watched by investors in the SRI community. 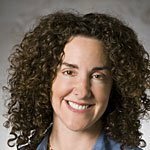 Guest Post: Nancy Levine, Executive Recruiting and Consulting Services. More than 20 years of experience in recruiting and executive search. Deep research, candidate development. Successful searches from C-level to manager, across business functions and industries, for VC portfolio companies to Global 50 and non-profits. Background check and vetting expert. Author of the four-book series originating with THE TAO OF PUG (Viking Studio/Penguin Group USA), with more than 100,000 books in print. Publisher: The above post originally appeared as Whole Foods Under Shareholders’ Spotlight at realnancylevine on 1/7/2016. I reformatted the post somewhat, added headings, the photo, a link or two and those eye-catching ads. As a long-time shareholder in Whole Foods Market (WFM) I am very concerned about possible reputational damage due to John Mackey serving as Board Chair at the Center for Integral Wisdom and its ties to Marc Gafni. Take Action: sign the online petition, requesting those with ties to Gafni sever all financial and institutional ties. Actually in the Forward tapes, Gafni says )in the past he thought was not being taped ) that it’s good he has his own think tank since no one would hire him. In other words, he seems to think he “owns” the think tank & the board is irrelevant. Is there a true fiduciary relationship with the board or are they his puppets? I would not be surprised. Many ‘founders’ suffer the same problem. Over time, a good portion finally see the benefit of a truly independent board but sometimes it takes several stumbles for them to see it. Fiduciary duty is not self-enforcing. Someone has to act. Sorry for my typos above. Indeed, in my work as a fundraising consultant, I have seen fledgling nonprofits with some confusion about governance–but this seems off the charts. I hope that this will catch up on every one. Mackey is a smart businessman and I hope he wises up. ‘As the founder of, primary spokesman for, and emotional leader of Whole Foods Market, John Mackey has a responsibility to immediately and directly address this issue. Reputation Institute’s research has shown that the two dimensions of corporate leadership and corporate governance make up almost one-third of Whole Foods Market’s overall reputation, and directly influence the willingness of consumers to buy and support Whole Foods vs. other alternatives.